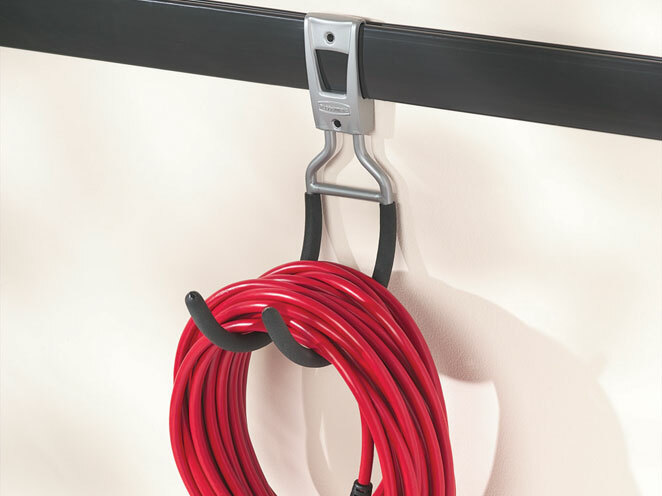 Rubbermaid Garage Organization and Storage Products are perfect choice for organizing yard tools, sports gear, and anything else you need to keep out of the way but not out of reach. The Horizontal Bike Rack stores bikes up off the floor to protect against accidents and reclaim parking space. Its “soft grip’ coating protects it from nicks and scratches. It is easy to attach and adjust on the rail so you can make a customised garage storage system that can change as your storing needs change. It is powder-coated steel for durability - resists, rusting, chipping and cracking. It can hold up to 22kg. 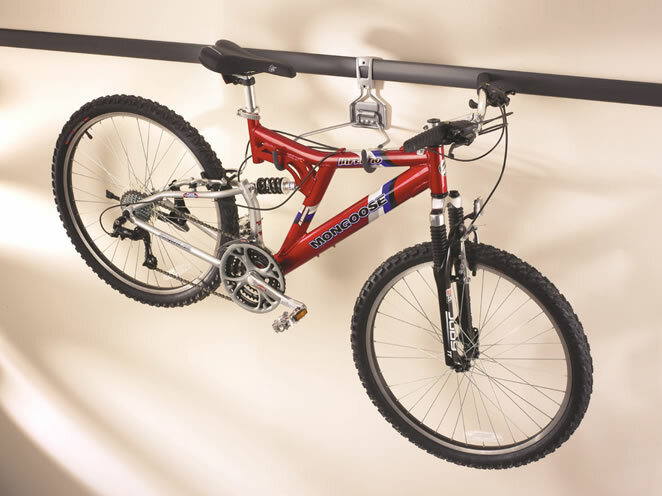 The Vertical Bike Rack stores bikes up off the floor to protect them from accidents and reclaim parking space. Its “soft grip” coating protects it from nicks and scratches. It is easy to attach and adjust on the rail so you can make a customised garage storage system that can change as your storing needs change. Powder-coated steel for durability - resists, rusting, chipping and cracking. Cast aluminum gripper for durable "snap lock" fit. It can hold up to 22kg. 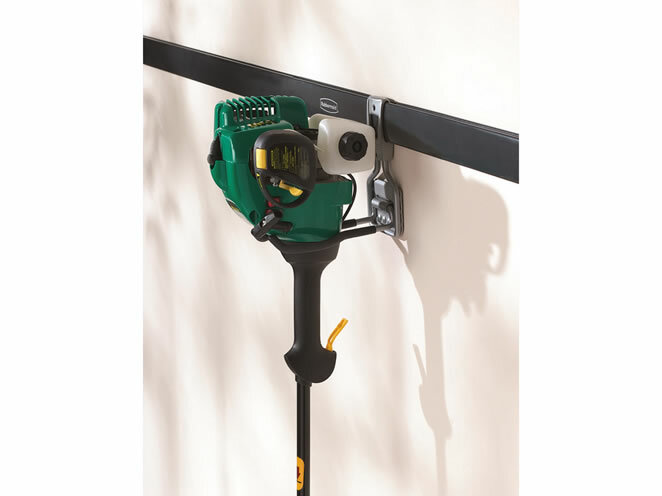 The Power Tool Hook is perfect for storing trimmers and edgers. Its “soft grip’ coating protects it from nicks and scratches, and it holds up to 22kg. It is easy to attach and adjust on the rail so you can make a customised garage storage system that can change as your storing needs change. It can hold up to 22kg. Can be mounted directly to a wall (Hardware not included). Easy to attach and move around on the rail. The Utility Hook is excellent for storing rope, extension cords and more. Holding up to 22kg, its “soft grip’ coating protects it from nicks and scratches. 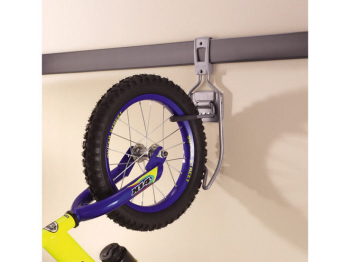 It attaches quickly and easily to the FastTrack® rail so you can make a customised garage storage system that can change as your storing needs change. Cast aluminum gripper for durable "snap lock" fit. Can be mounted directly to a wall (Hardware not included). Easy to attach and move around on the rail. The Hose Hook is ideal for organising hoses or extension cords. Its “soft grip’ coating protects it from nicks and scratches. It is easy to attach and adjust on the rail so you can make a customised garage storage system that can change as your storing needs change. It can hold up to 22kg. Cast aluminum gripper for durable "snap lock" fit. It can be easily attached and moved around on the rail. 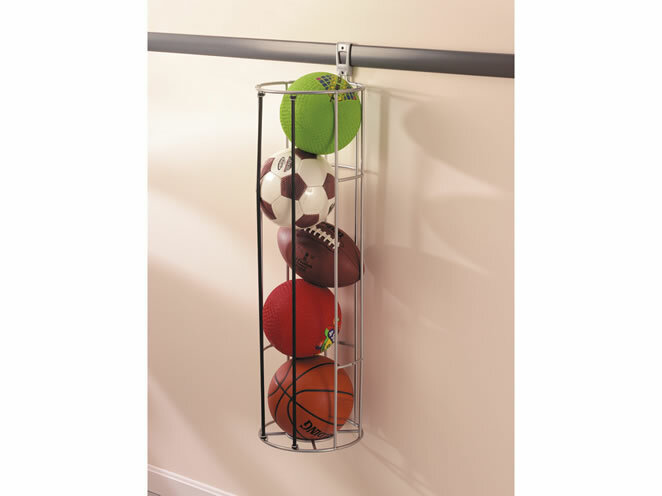 The Vertical Ball Rack is suited well for organising basketballs, soccer balls and footballs. Its flexible bungee cord bands provide quick, easy access to any ball. 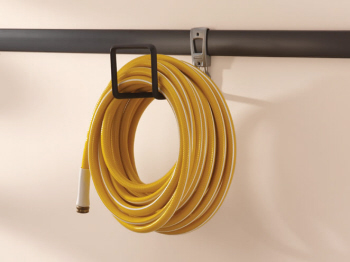 It attaches quickly and easily to the FastTrack® rail so you can make a customised garage storage system that can change as your storing needs change. It can hold up to 22kg and is very easy to attach and move around to the rail. 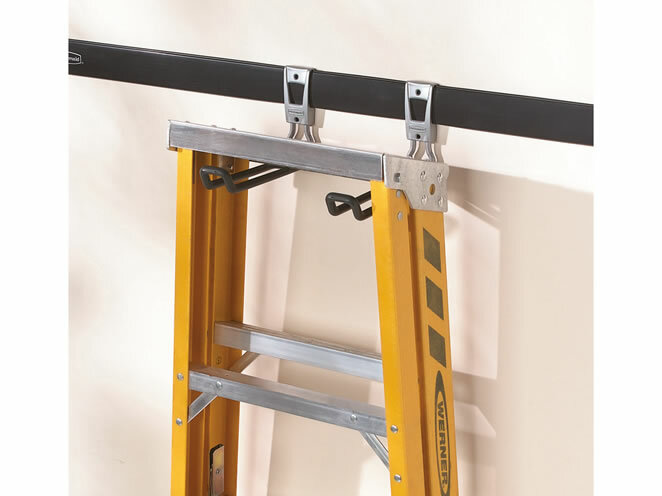 Ladder Hooks store your ladders horizontally or vertically (two hooks required).